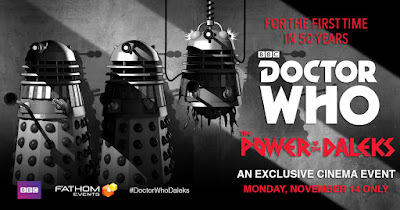 For the first time in 50 years, Doctor Who: The Power of the Daleks will play on screens across the nation as part of tonight's Fathom Events! 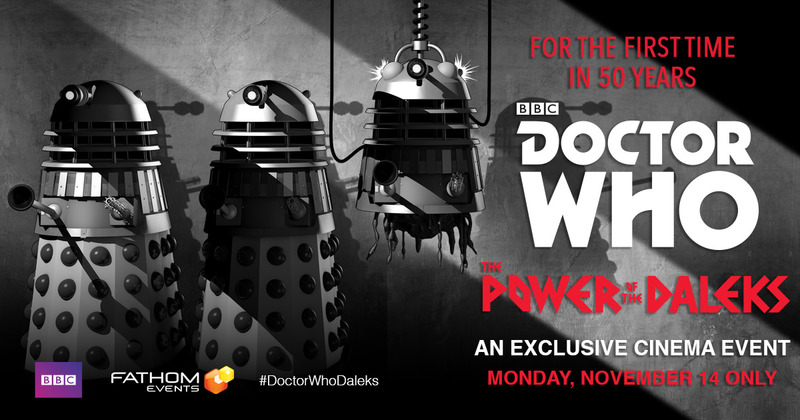 As you may know, there isn't any complete film footage of The Power of the Daleks known to exist. Some of the remaining footage ended up being destroyed in 1974 during a major archive purge. Until now, one of the most celebrated Doctor Who stories was said to be lost. This new animated film is based on the original audio recordings of the film, and will feature both the first and second Doctors! This event includes all 6 episodes and 20 minutes of exclusive footage as well.